The Tour Edge Backdraft GT+ putters feature a high contrast head and a jumbo grip to provide a high level of accuracy and forgiveness. The Optic Technology increases the contrast between the putter head and the green to allow the golfer to focus and have correct alignment. The jumbo grip helps prevent the golfers’ wrists from breaking down and reduces grip pressure. 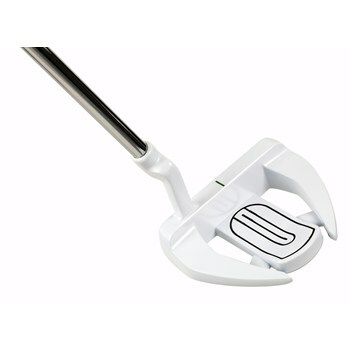 This makes it easier to make a pure putting stroke and reduce club head rotation.